As he backs out of his driveway, Jerry Kantor stops to help a neighbor with a flat tire and asks, “Is there anything that I can do to help you?” and he really means it. With a sense of compassion, Kantor’s volunteerism focuses on the health and welfare of the elderly and children. He has always had great respect for the generations that came before him. And today, he enjoys those younger than himself through the eyes of his children, Jill and Brian Wainger, their three kids and Ross and Robin Kantor. He describes his priorities similar to his mother who put “family first” and his father who was committed to community. His mother, Hannah Schreiber, was the granddaughter of Moses and Gussie Fleder who had six children. The first generation of Fleder offspring grew to include the Weisberg, Stein, Pearlman, Coleman, Schreiber, and Krug clans. There have been three generations born since then. When one hears, “Everyone in Tidewater is related,’ Kantor’s family is the perfect example. His father, Joseph “Buddy” Kantor, ran Broudy-Kantor Co., Inc., a tobacco, candy and confections distribution business founded by his father Jacob Jesse Kantor and his cousin in 1895. In the early 1930’s when prohibition was repealed, the enterprise expanded to include wines. A practicing lawyer, Buddy taught himself the business when his father passed away in 1941. Eventually, he became its sole owner by purchasing his cousin’s share of the partnership. Named after his paternal grandfather, “J.J.” Kantor was born June 23, 1941. He is the oldest of three children. As a young boy, Jerry Kantor lived on Omohundro Avenue in Norfolk near the city park and attended JEB Stuart Elementary School. He lived with his parents and two siblings in an apartment building owned by his maternal grandparents who also resided there. His paternal grandmother, Dora Caplan Kantor, practiced Orthodox Judaism, yet attended services at Beth El where the family belonged. Kantor remembers walking her to synagogue for Shabbat and holiday services. Both he and his cousin Warren Aleck think of their grandmother as one of the most influential figures in their Jewish upbringing. Moving to Talbot Park at age 10, Kantor’s life still revolved around the Jewish Community Center in Ghent and Beth El. “In the 1950’s, Jews and non-Jews did not socialize with one another,” Kantor says. “The JCC was the center of our activities, dances and holiday get-togethers.” On June 12, 1954, he celebrated his Bar Mitzvah with Rabbi Paul Reich officiating. Often assuming leadership positions even in high school, Kantor became president of his AZA chapter, as well as a regional officer. Never wanting to be a member in name only, he took an active role in any club, committee or board in which he participated. In college, he served as vice president of his fraternity, ZBT, became the first Jewish president of the inter-fraternity council and held varying positions with many other organizations. “I loved my Penn experience. I am still close to many of my fraternity buddies and classmates,” he mentions. During his undergraduate years at Wharton School of Finance at the University of Pennsylvania, Kantor joined the ROTC much to his parents’ dismay. “I figured that I was going to have to go into the army and I wanted to serve as an officer,” he adds. As it happened, his service was deferred because he decided to go to Law School at the University of Richmond. Upon graduation, he did his basic training at the procurement school at Fort Lee and then drove out to California to be posted at Fort Irwin in the middle of the Mojave Desert. Kantor was in the army for two years as a lieutenant in the Quartermaster Corps. Packed for Vietnam, having taken his necessary vaccines, he was ordered to get one last physical at Walter Reed Hospital in D.C. before he was sent abroad with a bad back. The army was desperate for soldiers and they did not want to release him unless it was absolutely necessary. At 26 years old, Kantor was immediately sent home for disc surgery. For four years, he was employed by Broudy-Kantor until the candy, confections and tobacco lines were sold, leaving only the wine distribution business. Accepted to NYU in 1971, Kantor left Norfolk for a master’s degree in tax law. Stopping overnight in Washington, D.C. to see friends, he made the decision to seek employment instead of pursuing another academic degree. He worked for the Civil Rights division of the U.S. Department of Justice doing research for cases defending Mexican-American migrant farm workers in southwestern Michigan and African Americans seeking equal benefits in Alabama. In March, 1972, Kantor married Kathy Lombart. Moving back to Norfolk, he worked, again, for the family business. Members of Ohef Sholom Temple for 16 years, they joined Beth El when Kantor’s father passed away and he wanted to say kaddish on a daily basis at a regularly scheduled minyan. His son, Ross, was also confirmed there with many of his friends. In the late 70’s, Kantor became involved with the Azalea Festival, the first of many long-term volunteer commitments, ultimately becoming its chair, earning him a seat in the parade. 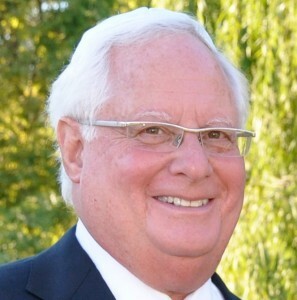 Having participated in the United Way Campaign for 17 years, Kantor spearheaded the effort in May, 1982 and then went on to become the chairman of the regional campaign. In 1980, Kantor assumed the presidency of Broudy Kantor Company and subsequently served as president of the Virginia Wine Wholesalers Association, as well as a board member of the national organization, the Wine and Spirits Wholesalers of America. He also served as a member of the regional board of SunTrust Bank. His passion for helping others continued with his roles as chair of the EVMS fundraising campaign and his membership on the board of CHKD for nine years, ultimately becoming its chair. He admits, “CHKD has a special place in my heart because its medical team saved one of my granddaughters.” His support for Norfolk institutions is extensive and includes membership on the Norfolk Public Library board, the presidency of the Norfolk Planning Council-dealing with health and welfare issues, and as a board member of the Greater Norfolk Corporation. He has also spent time on the boards of the Jewish Community Center and Jewish Family Service and was honored by ADL. Always generous, he has remained a member of the Jewish Community Center since his first days in Norfolk after college. In 2011, Kantor was honored with a humanitarian award by the Virginia Center for Inclusive Communities, the same award given to his father in 1982. Today, he is chair of the Care Committee for Congregation Beth El and second vice president to assume the presidency in five years. With pulpit duty, his regular attendance at Shabbat services has added to his appreciation of synagogue life. For UJFT’s Community Relations Council, he is chairman of the outreach committee and is working on a Passover Seder for an interfaith audience. Following in his father’s footsteps, he is a proud member of the 400 Club, a group of seasoned Jewish community leaders. With a wonderful sense of humor, Kantor tells stories about his grandchildren’s Jewish experiences at the Strelitz Early Childhood Center. Recently, one of the twins burst into the Hebrew version of “Happy Birthday” when she discovered Israelis stationed at a mall kiosk. Kantor admits that most of his prayers are of gratitude. He feels blessed that he has a “terrific” family; he has been able to look back at a rewarding career; and has spent a lifetime volunteering to help others less fortunate. He believes, “Judaism has taught me compassion, honesty, respect and justice.” For Kantor, the Jewish community feels like extended family. And then again, the truth is, many of its members are his relatives.